Noah Elliott Morrison Black Noi$e. Detroit has no shortage of DJs and selectors to spin records into the late-night hours, but the number of music producers is still relatively small for a city that has an illustrious history of dropping beats. 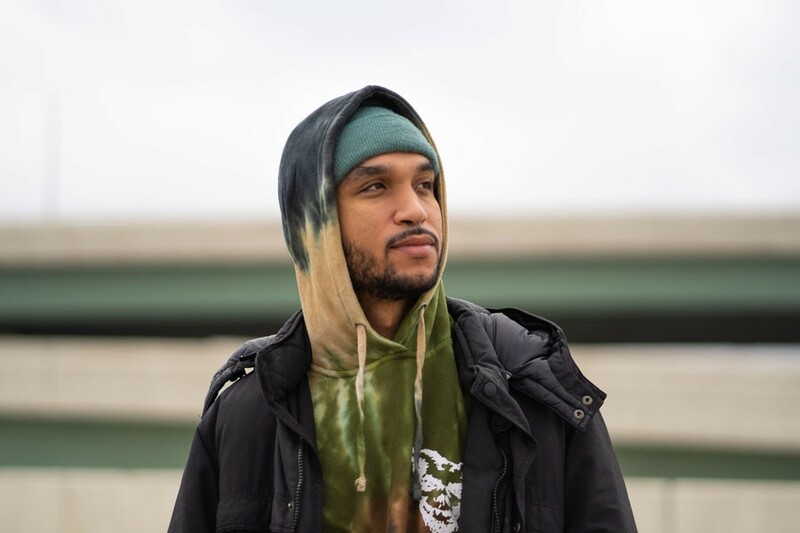 Every once in a while, though, you come across a Detroit artist like Rob Mansel, aka Black Noi$e, whose brand of left-field house and techno is the type of out-of-the-box thinking that has the potential to launch the 29-year-old artist into a career outside of the Motor City. On a recent phone call with Mansel, he's quiet and a bit shy. Fresh off of the release of his debut album Illusions, Mansel isn't yet accustomed to speaking with the press about his music. "I want the music to speak for itself," says the Westland native, who has been making music since he was 15. Although he started off playing guitar, he quickly found that he had a penchant for making beats, and had an expansive taste in music that subconsciously influenced many of his creations. Unlike many of his peers in the dance music community, Black Noi$e was making music before he began selecting tracks. After listening to his 11-track LP Illusions, it's easy to see that Black Noi$e's brand of electronic dance music is highly cerebral. If dancing to the casual house rhythm of the opening track "Wake Up," whose scintillating chimes embody the song's name, it would be easy to assume that this is just another house record. But going through Illusions track by track reveals a type of versatility seen only in an artist that is still exploring his musical identity. "It's just a feeling really, I can't really describe it," Mansel says about his creative influences. "[The music] takes from a lot of different places." "Coming up, I would hear sounds, and I wouldn't know where they came from," he says. "Now I know what this is and I know where this is coming from, but it's usually just whatever happens that day or a feeling I'm trying to get across through music." That's evident in listening to tracks like "B Lvde III," which sees Black Noi$e experiment with trap beats, while "Nite Drive" features an explorative ambient intro that evolves into a Detroit-style house track à la Marcellus Pittman. For Black Noi$e, musical confusion is part of the practice. In 2019, Mansel is looking forward to getting to play more of his music on the dance floor. Following his year-long residency with Skywklr on Redbull Radio and a recent record release party at Deluxx Fluxx, we anticipate seeing his name on many more bills in the future. "I'm just trying to continue to make music, and play more parties, and see what's going outside the city," he says.